I still have a couple things left in the girls’ bedroom makeover before I do the big reveal. All the while, I have been working on other house projects too. 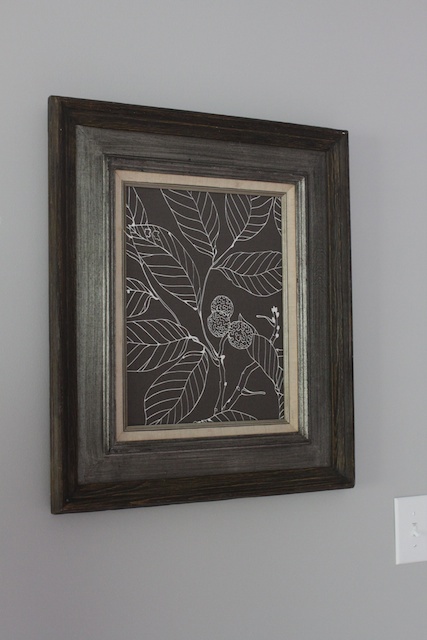 Such as this quick framed fabric art. I bought the fabric from Ikea for $8 per yard. It’s nice hefty home decor fabric. 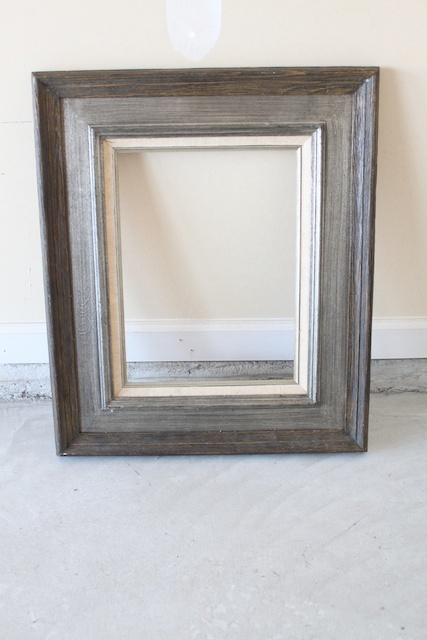 And my mom found the frame at a yard sale and I bought it from her when I was rummaging through her garage one day. The frame was an odd size so I had to make things fit. This is such a cheap way to put decorations up on the wall. 1. 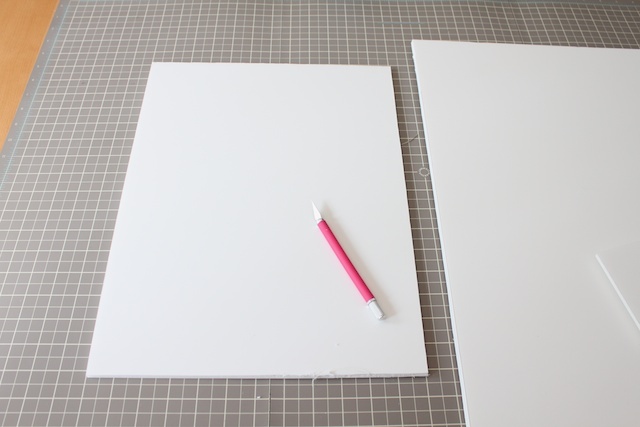 Cut your foam board to the size of the frame window (opening). 2. On the right side of the fabric, decide what part of the fabric design you want showing. 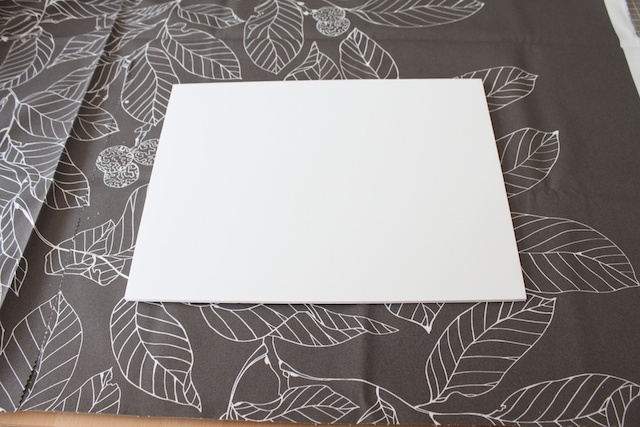 Make marks about 1 1/2 – 2 inches away from the 4 edges of foam board so you know where to cut. 3. Use zig zag scissors to cut the fabric. It helps with the fraying. 4. 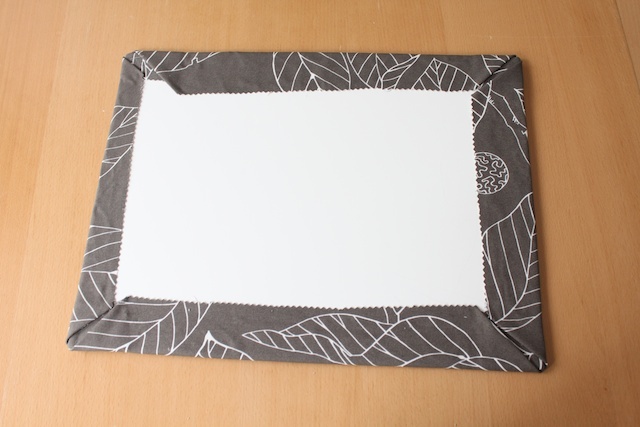 Flip the fabric wrong side up and place the foam board on top, over the part of the fabric where you want the design to show. Then using the glue gun, glue the 4 corners. 5. 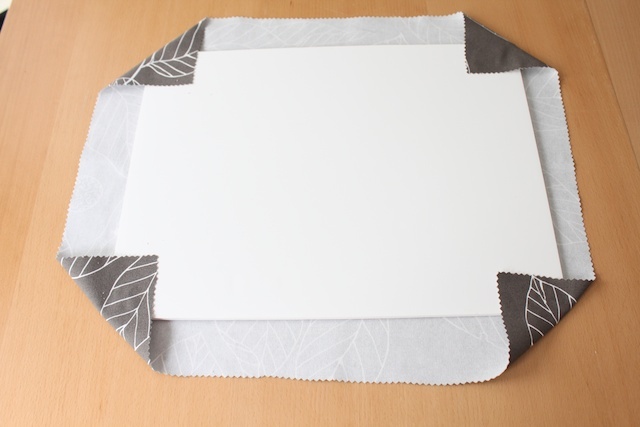 Then fold the edges over the corners and glue in place. Pull it tight so the fabric is flat against the foam board. 6. 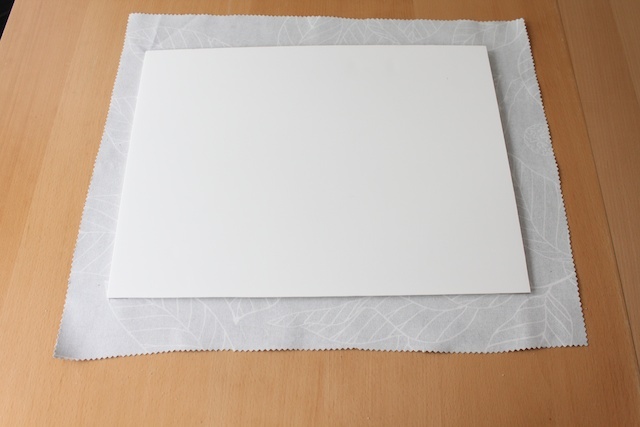 Place the fabric on the board in the frame. 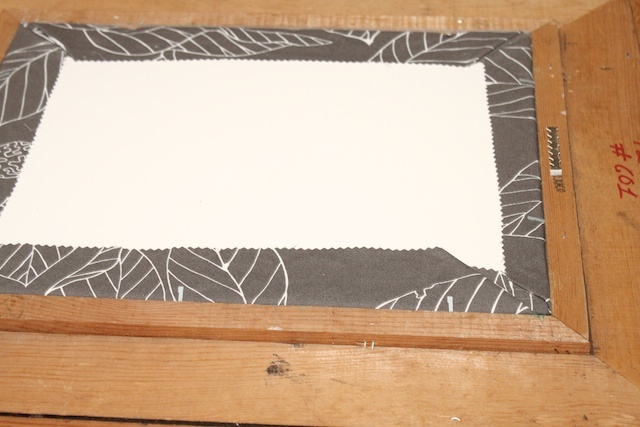 Use framer’s point driver, a staple gun or small nails to keep the board in place on the back of the frame. And done! Ready to hang on the walls. » Tell me… How do you like to decorate the walls in your home? 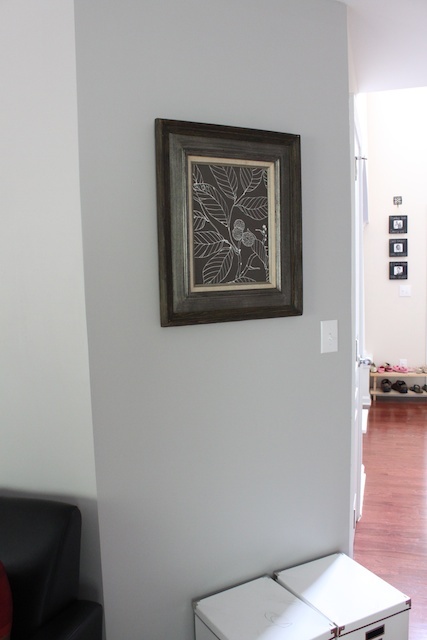 Do you have art work, photos, canvases, dishes, wood hanging on your walls? Love this! 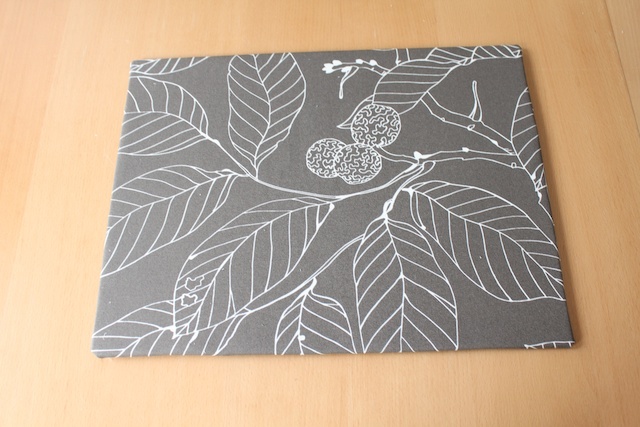 I did something similar (although way less professional!) with a napkin I found on clearance and a frame I got at a garage sale. Gorgeous artwork for about $3! don’t you just love super cheap artwork?! I love it! Because ya know, I have a fabric obsession. 😛 And this is way better than saving those rad patterns in a basket in the closet!